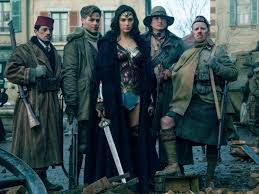 With the premier of Justice League right around the corner, it’s a great time to look at the leadership lessons we can learn from Diana Prince. I watched with pride as Diana navigated an unfamiliar world, all the while discovering the purpose for which she was created! She is every person who has ever accomplished remarkable things! And here are the 5 leadership lessons that we can all take away from Diana Prince to accomplish important things in our world. 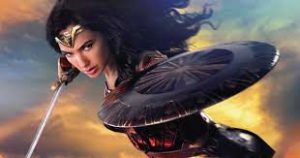 The movie opens to a young Diana watching with excitement as General Antiope puts the Amazons through rigorous training. As a young girl, she knows this is what she wants to do. Despite being told no numerous times by the very people she loves and respects, she is drawn to the training. 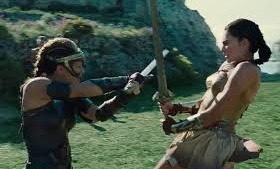 So much so that she goes against her mother’s wishes and trains with General Antiope. She did not yet know her destiny, her purpose for that which she was created, but by saying yes to that little voice calling her to train, she set the wheels of her destiny in motion. Leadership Lesson 1: Be authentic. That little voice calling you knows your ultimate purpose. There will be naysayers. There will be those who try to drown that voice because it doesn’t match their image or because of their limiting beliefs or their fear or because they just simply don’t know. 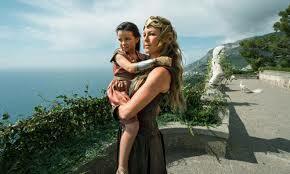 It doesn’t mean they don’t love you, in fact they may love you greatly, just as Queen Hippolyta loved Diana. But without Diana saying yes to that little voice calling her, there is no Wonder Woman. To accomplish great things, we have to listen to that internal voice, that has often been there since we were a young child, steering us to our ultimate purpose. Leadership Lesson 2: Have a coach that doesn’t let you get away with less than your potential! Get a coach! And get the right coach who sees all of your potential. This doesn’t mean they are better than you, it means they will bring out the best in you. General Antiope saw the potential in Diana to be better than she was, and she also knew that Diana would not be prepared for her destiny without the right training. Having a coach doesn’t mean you know less, or will be less, it means you are in training to realize your full potential! Diana enters a world that in unknown to her. A world where women are second class citizens. She isn’t allowed in the war room where the men are strategizing how to proceed. Diana is respectful of the world and culture, but never gives up on her mission or her own moral code. She doesn’t get bogged down by, “That’s the way we’ve always done it” or other implied rules. Diana isn’t less of anything when she is not in her battle armor. Leadership Lesson 3: Be respectfully disruptive. 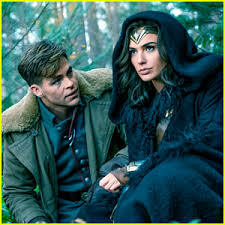 Steve Trevor: This is no man’s land, Diana! It means no man can cross it, alright? This battalion has been here for nearly a year and they’ve barely gained an inch. All right? Because on the other side there are a bunch of Germans pointing machine guns at every square inch of this place. This is not something you can cross. It’s not possible. Diana Prince: No. But it is what I am going to do. Everything looked hopeless as they entered no-man’s land. For years the conventional ways had failed to stop the death and destruction. Diana is face to face with her values. This is the reason she has been training and fighting. She knows with everything in her that this is what she must do- the impossible. She considers the wisdom of those around her and then, confident in her own gifts and skills, she makes the decision to be true to her values, her purpose, her mission. She breaks all convention. And in doing so, she is victorious. Leadership Lesson 4: Confidently take the next step in front of you. Be confident in your mission, your values, your purpose and your gifts. Often times we want to see every step before we take the next step. But that isn’t how life works. Diana simply took the next step in front of her each time it was presented. She didn’t try to rush it. In spite of the all the messages advising against action, she stayed confident in her gifts and her skills, her mission and she let her values be her guide. In choosing to take each step as it presented herself, she accomplished what had never been done. Confidently keep taking the next step in front of you. Trevor, Sameer, The Chief and Charlie form an unlikely team. The Chief has no home, Sameer couldn’t make it as an actor because his skin is “the wrong color” and Charlie has lost his nerve. 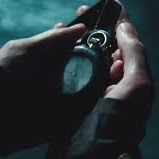 And yet, even as they too believed Diana’s mission was impossible, they come together in a climactic moment on screen to catapult Diana into a bell tower to take out a sniper that is plaguing the Belgian Village. We aren’t meant to do it alone. Build a team with passion for the mission. See and help them be their best version of themselves, because when it counts, they can help propel you to do the impossible. Bonus Leadership Lesson: The Time Is Now! Stop using the clock as an excuse by saying, “There’s not enough time” or ” It isn’t time yet.” The time in now! Learn More! Continue the conversation. Let’s Talk! and Subscribe Now for more tips on living abundantly.